It is this model of giving information as well as understanding and support that Take Action Counselling was founded. In 1993 She co-founded and is Director of Into The Light Counselling and Support For Survivors Community Interest Company – a service for survivors of sexual abuse www.intothelight.org.uk. She writes all the material for the psycho-educational courses, workshops and training seminars for Into The Light CIC. She also created and co-wrote the materials for Mummyshock www.mummyshock.org.uk a project for new mothers that runs in several Community settings in Brighton. Rebecca is a regular contributor as an “agony aunt” and counsellor on a national women’s radio programme covering a range of topics including relationships, dating, singleness. She has also spoken on Radio London and LBC breakfast shows. She has written a number of articles on issues including weight, break ups, singleness, dating and abuse recovery for Magazines including BACP Private Practice magazine, BACP Therapy Today, Woman Alive and the mental health website “Mentally Healthy”. She has written a self-help book for survivors called “New Shoes” which was well received by survivors and counsellors and led her to be nominated for Cosmopolitan magazine Campaigner of the Year. Rebecca has spent many hours in counselling and therefore has a personal understanding of the challenges and benefits that coming to counselling sessions entails, not just as a professional but as a client too. 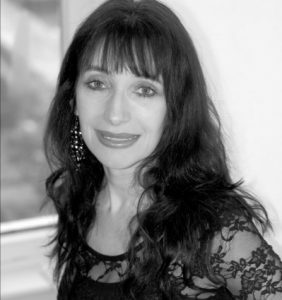 Rebecca is a qualified counsellor and Member of British Association for Counselling and Psychotherapy one of the main professional bodies for counselling in the UK and adheres to their strict code of ethics. She is also a BACP Registered Member. The BACP Register was established in 2012 and was the first psychological therapists’ register to be accredited by the Professional Standards Authority for Health and Social Care, an independent body accountable to Government. The main purpose of the Register is to protect the public. It provides reassurance to clients, employers and the general public that a registered therapist adheres to high standards of proficiency and good practice.